Split up the shopping list and ask everyone to bring an apron to this Spanish-style potluck party. Once friends arrive, set teams to work preparing the paella. 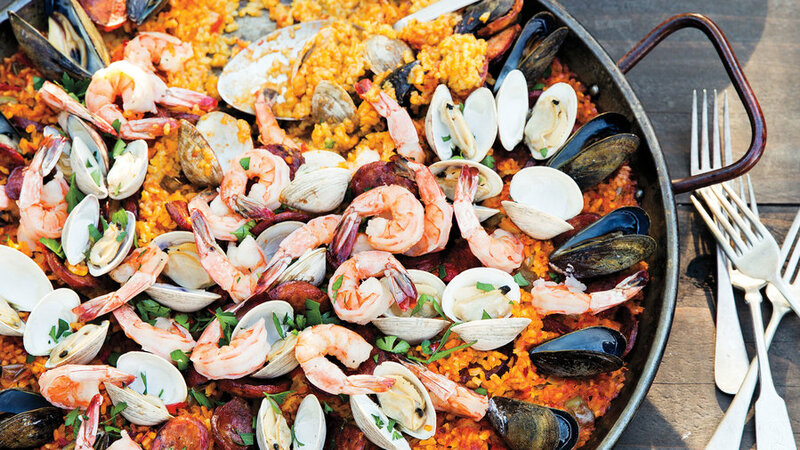 The meal comes together easily when everyone helps, and at the end you get a smoky, seafood-filled dish that's authentic to Spain­—and delicious in any language. 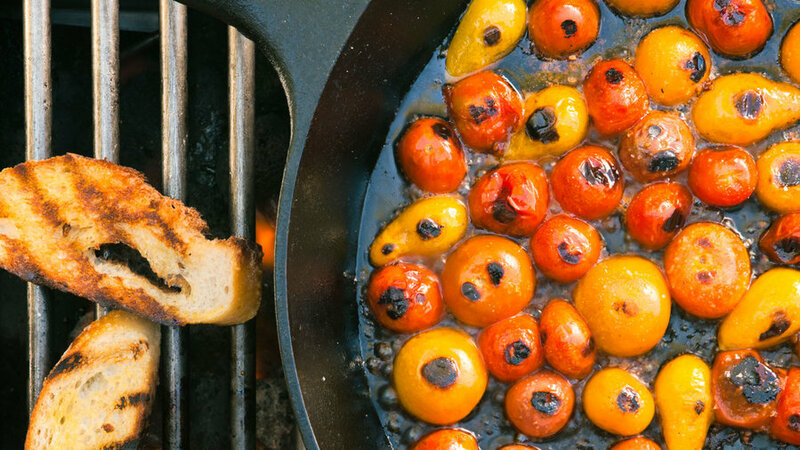 From grilling caramelized tomato bruschetta in a cast-iron skillet to apricot puffs in muffin tins, this dinner menu is anything but conventional—but amazingly delicious nonetheless. You’ll look like a superchef (and have more bandwidth for guests) if you do all your prep for this meal before you fire up the grill. 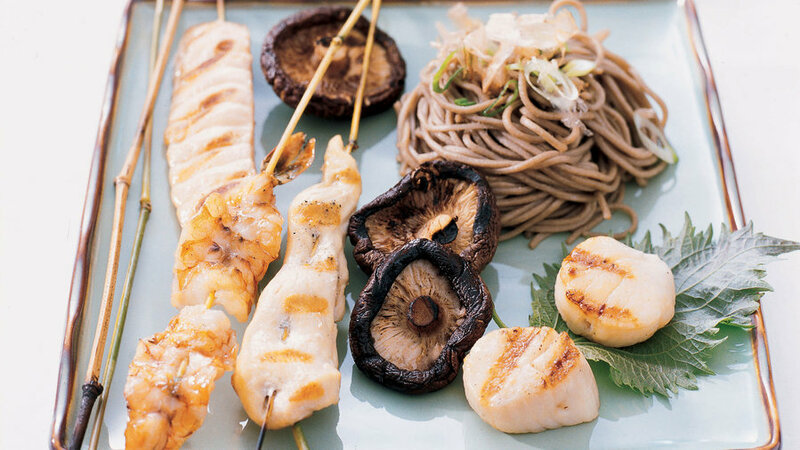 Robata-yaki, or Japanese barbecue, is perfect for warm-weather entertaining ― it's simple, fresh, and meant to be shared with friends along with sake and cold beer. A tandoori-style party is an easy way to entertain with Indian flair. 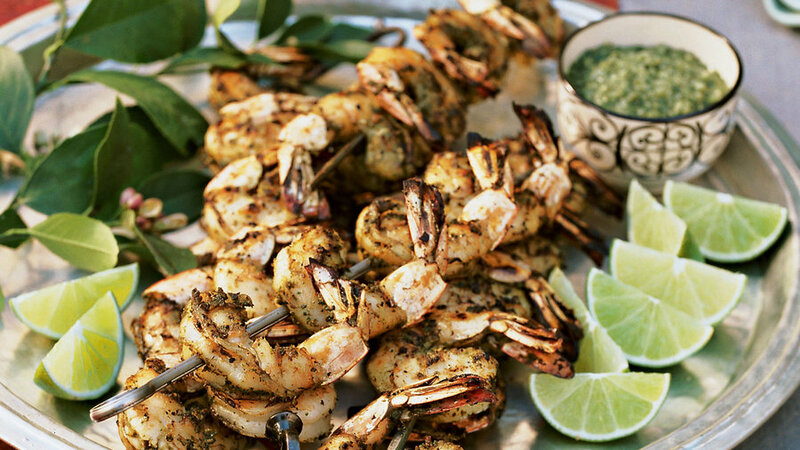 Though your barbecue won't get quite as hot as the circular Indian clay oven called a tandoor ― which reaches 800° ― long skewers of plump shrimp will still emerge appetizingly singed, a mouthwatering centerpiece for a simple, seasonal dinner. Burgers are the perfect solution for casual entertaining: easy, quick to cook, and beloved by almost everyone. 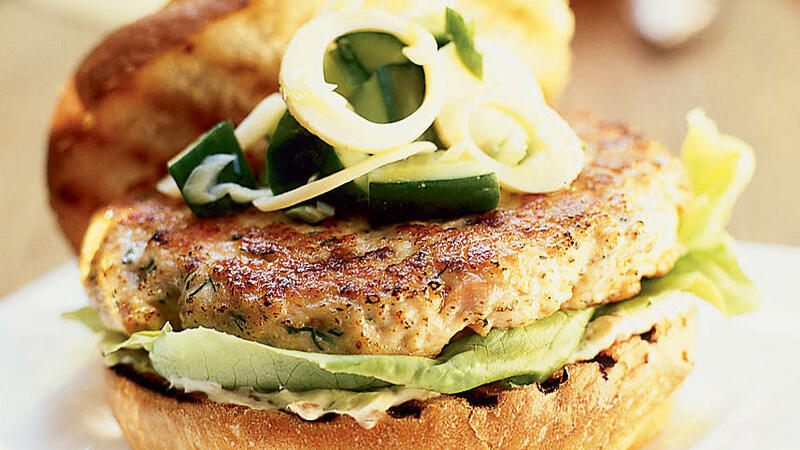 Since not everyone eats red meat these days, this relaxed party menu includes a savory salmon burger in addition to a classic ground-beef burger with bacon. 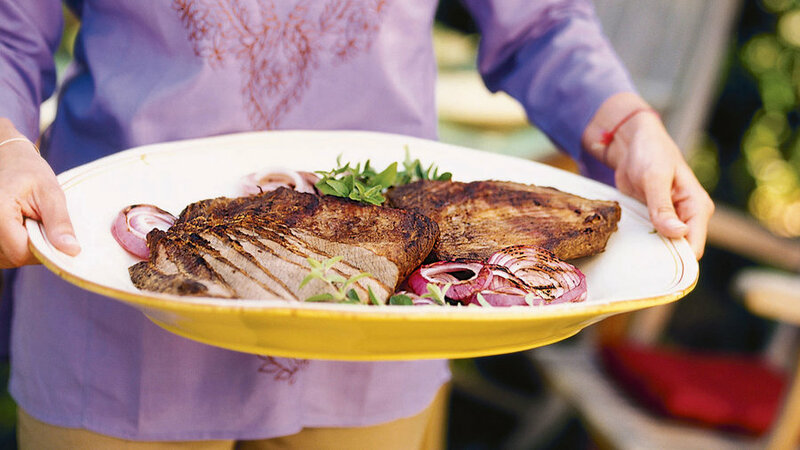 This easy-entertaining menu is inspired by al fresco dining traditions in Chilean wine country. The brisket, a cut of beef we usually braise for tenderness, yields firm but juicy, flavorful slices when cooked over very low heat on a gas barbecue. Or, for quick results, grill flank steak instead. Cooking at the beach is more fun than trouble these days, with the large array of totable barbecues ― both charcoal and gas ― available. And throwing some shrimp on one is so easy it has become a cliché in the best sense. 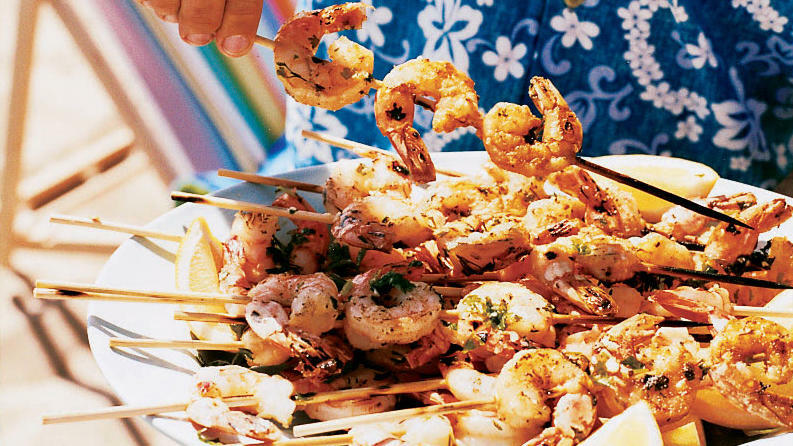 Nearly all of the action at a backyard grilling party takes place around the barbecue. 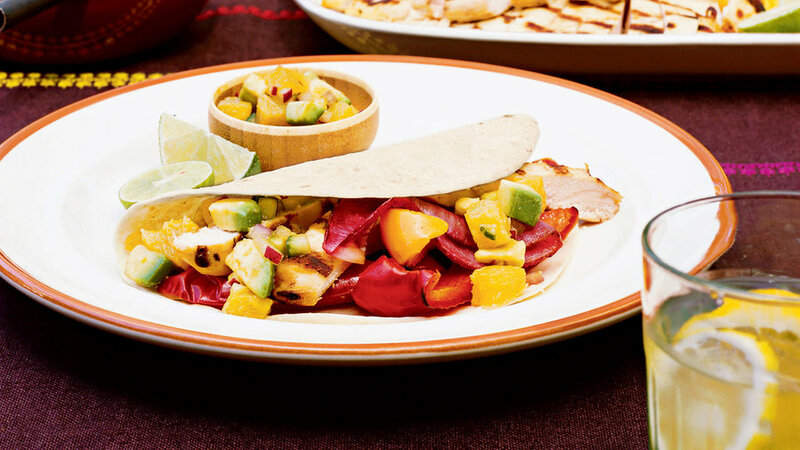 Take advantage of that by letting guests grill tequila-marinated chicken breasts and vegetables for folding into warm tortillas, while others sample chilled tortilla soup and sweet white sangria. 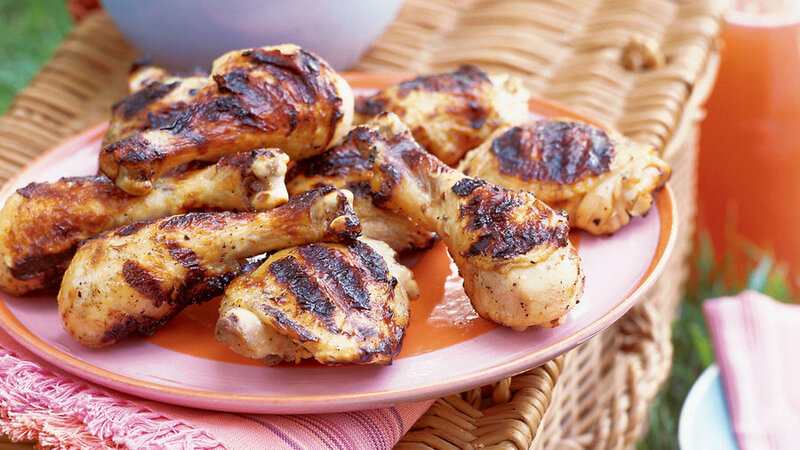 Grilled chicken is an all-American summer classic, perfect for a picnic or a backyard dinner. But when you soak it in a buttermilk brine for extra moist and tender results and add subtle Indian-inspired spices, it suddenly becomes special.